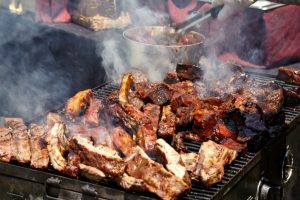 The United States of America is a barbecue-driven country. 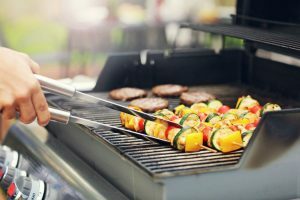 Grilling, roasting and smoking meat, vegetables, poultry or fish is a common Sunday family activity all over the land so it’s not a big surprise to find out that more than half the American homes own at least a griller AND a smoker, or one of these divine crossed models that offer both options. The possibilities are endless, really: offset smokers, vertical smokers, gas or electrical powered grills, charcoal traditional grills, roasting boxes, Argentinian, Brazilians, wooden grills, you name them. No matter what you choose for your house, the time has never been as ideal as it is now. The new products in the market are better than ever and the old ones have been upgraded to improved versions of their past selves. Still, the possibility of selecting poorly lingers on. 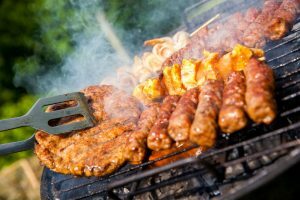 Given the chance that you choose wrong, you will end up with a product that will not only fail to fulfil its main objective but will plainly complicate your weekend by providing a completely unsuccessful barbecue for you and your family. Selecting the grill model accurately according to your needs and its features is mandatory. The market is huge and the possibilities are numerous. The best option for you will be determined by how you plan to use it, the place where you will put it, and any other factor that you consider should be taken into account about your house or your family (i.e. how many people will you be barbecuing for). 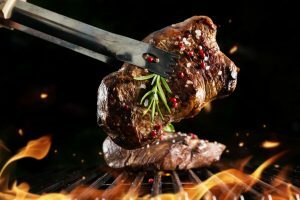 One of the favourite options in the country are the smoker/grills, a product that offers both methods of cooking in one, reducing the use of space and simplifying your barbecue at the same time. When chosen correctly, a dual smoker will turn out to be a truly useful, one of a kind item that can always upgrade your house cooking. What is most common to find is a vertical charcoal smoker model that provides this double function of a smoker and a grill simultaneously. By opting for this type of smoker you can enjoy smoking different types of food as well as to use these smokers as grills for barbecuing or grilling different cuts of meat, poultry, and fish. 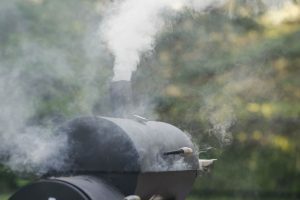 Even with options of propane based and electric smokers on the market, majority of the people still tend to choose charcoal based smokers as food smoked in them have a unique quality and flavour of its own that cannot be achieved any other way. 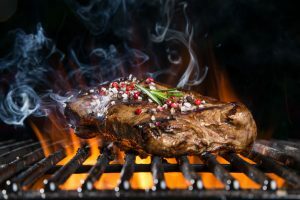 In this article we will go through some of the best smoker grill models that use charcoal as fuel so you can easily review them and select which of these units is the one that most meets your requirements in case you would like to acquire one for your house. The Napoleon AS200K Apollo is a vertical smoker that provides an exceptional smoking space with its three-section design. 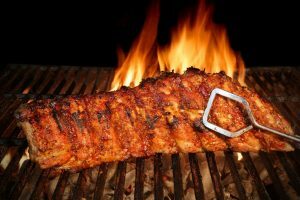 By taking out or adding sections (they come as stackers) you can convert this smoker into a grill, medium sized smoker or large sized smoker to be used however you need it. It’s also one of the best smoker grill designs. The body of this smoker is manufactured using high quality steel meaning it is a durable, long lasting product. Each of the stackers contain a heavy-duty 16 inches cooking grate thus providing ample space to cook two large pieces of meat or poultry, or several pieces of vegetables simultaneously if required. The lid of this smoker is provided with a horizontal bar to accommodate five meat hooks if you would like to hang them instead. The 2.6-gallon water pan supplied in the base prevents the drying out of the meat and collects all the fat and juices of the cooked meat. This smoker also comes with an ACCU-PROBE built-in temperature gauge on the lid and an air damper in the base that help in controlling the amount of heat inside the smoker when you are cooking. It also has multiple vents for a better temperature control. This smoker grill also has temperature eyelets at each grill level that provide easier access in case you would like to insert a thermometer probe to check on your food. The hinged side door on each stacker allows easy and convenient access to the water pan and for refilling charcoal without having to open the whole smoker. Napoleon AS200K Apollo 3-in-1 Smoker is currently available for around $250.00. The Napoleon AS200K Apollo 3-in-1 Smoker is an outstanding option on the market of smoker-grillers. It comes with a unique three-section design, which allows removing or adding of stackers as per the requirement of the user for a small or large cooking space. Its unique design provides a multitude of options for outdoor barbecuing, such as slow cooking, smoking and grilling, all in one. 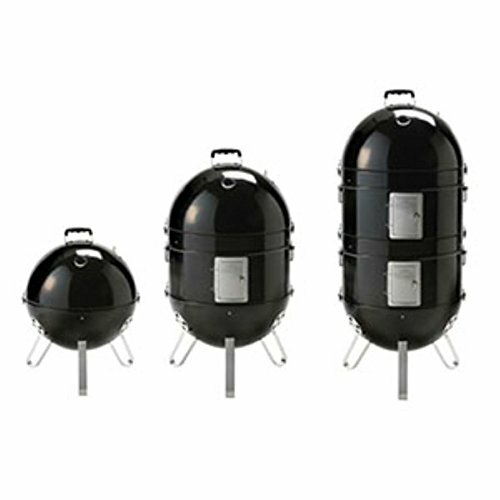 It is a durable, high quality product that does its job efficiently and simplifies the smoking process for the user by allowing them to check temperature separately on each section and re-fill the water or charcoal pans without having to open the whole unit thanks to the special hinged side door it comes with. Overall, the Napoleon AS200K Apollo is a medium-priced, budget friendly smoker that does its job competently and has a functional and practical design. The Brinkmann 810-5301-6 charcoal grill and smoker comes with two removable steel chrome plated steel cooking grills, which provide the necessary base for smoking diverse types of meats and veggies in different sections. 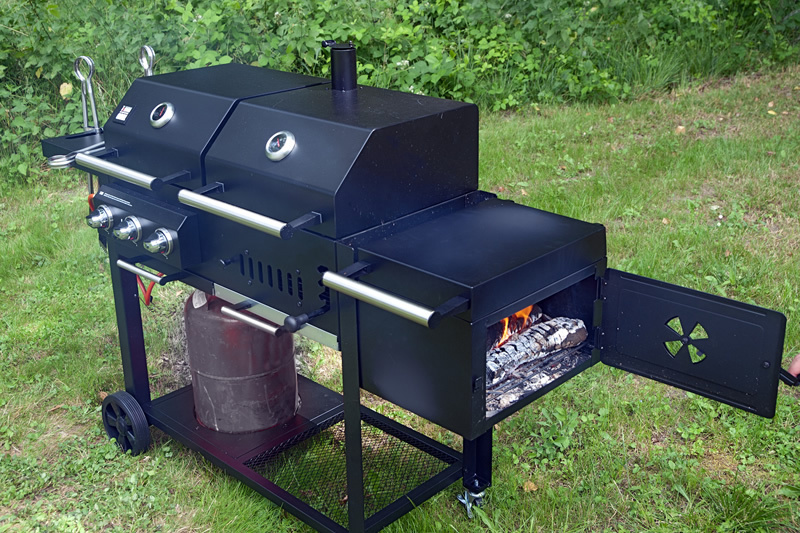 By using the whole capacity of this smoker, you can smoke fifty pounds of food in one go. It has a built-in thermometer in the lid, which has a domed shape to offer more space on the top. The steel of the water and charcoal pans is porcelain-coated which increases its longevity. The convenient front hinged door provided in this smoker allows the users to comfortably access the water pan and allow charcoal refill without going through the trouble of removing all the shelves. This grill and smoker measures 17 x 17 x 32 inches, and comes with a 1-year limited warranty upon purchase. It also comes with wooden handles on the main body and the lid always stays cool even when the smoker is in use for several hours. This feature helps in preventing burns or accidents. The Brinkmann 810-5301-6 Charcoal Grill and Smoker is currently available for around $70.00. The Brinkmann 810-5301-6 Charcoal Grill and Smoker is one of the best compact sized vertical charcoal smokers that can be used for both grilling and smoking different cuts of meat, poultry and fish. If you are a vegetarian then you can use this smoker for grilling or smoking veggies. However, after reviewing its features, pros and cons, it seems that this now discontinued smoker and griller is slightly poorly designed, defeating the purpose of food smoking. 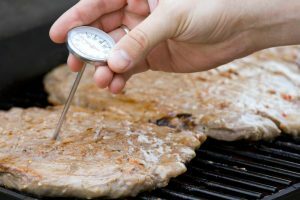 Some people have stated it can easily be used for cool smoking (bacon and cheeses), but report having failed to smoke meat, poultry and fish properly because of the undersized lid and impossibility to set a proper temperature. Another failure in design is the inexistence of an ash grate, which means that you will have to, somehow, take the ashes out if you want to keep the coals alive. Finally, adding water using the lid especially designed for that is not an easy task, and it will most probably make you open the lid to do so. 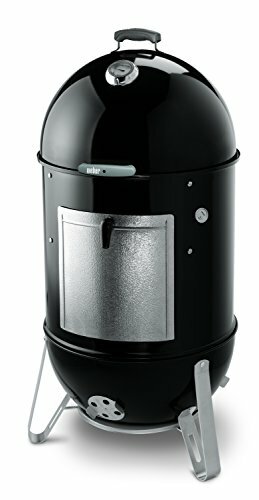 The Weber 731001 Smokey Mountain Cooker is a dual tray vertical smoker that comes with dimensions of 23L x 23W x 42H inches and includes an incredible 10-year limited warranty upon purchase, a unique feature between similar products. The body of this smoker is manufactured using high quality steel, porcelain-enameled, making it a durable and sturdy item. It comes with two heavy-duty 22-.1/2 inches cooking grates that provide ample space to cook two large pieces of meat or poultry simultaneously (a total of 726 square inches of space for the food you would like to cook). The porcelain-enameled water pan provided in the base prevents the drying out of the meat and collects all the fat and juices of your cooked meat. It has a built-in thermometer and rust resistant aluminium dampers on the lid and bottom of the smoker, which help in controlling the amount of heat when smoking or grilling. The lid of the smoker is fixed with a weather resistant, glass reinforced nylon handle for safe and easy removal without burn risk. The rust resistant durable aluminium fuel door on the side of the smoker allows easy and convenient refilling of charcoal and wood, simplifying your cooking by not opening the lid to achieve this. The Weber 731001 Smokey Mountain Cooker 22-Inch Charcoal Smoker weighs 68lbs. approximately and is currently available for around $400.00. The Weber 731001 Smokey Mountain Cooker 22-Inch Charcoal Smoker is a bigger version of its earlier 18-1/2 inches and 14 inches model and provides 726 square inches of cooking space. If you are looking for a smoker that can give you space enough to make a big-sized barbecue, this is a great option for you. It is a high-quality product that will not only smoke your poultry or meat while keeping it moist and juicy, but will also make you enjoy the process of cooking it as its design offer a great experience for the user. If the size is a bit too big for you, you can always opt for the smaller versions of the Weber Smokey Mountain Cooker, which provide almost the same features than this one but with a friendlier dimension for your house. If you have decided that a smoker and griller is what your house garden needs, do not hesitate in acquiring one. As for the ones reviewed in this article, after going through the features related to the best smoker grills discussed above, the Weber 731001 Smokey Mountain Cooker 22-Inch Charcoal Smoker is, by far, the best option. It is a long lasting, high quality smoker that will not only cook your food with care and efficiency but it also has a great design that allows you and your family to handle the whole cooking process easily. It is a completely rust-proof item manufactured using high quality steel and porcelain enamelled for durability. It also comes with a 10-year limited warranty that no other product on the mark will offer. And if there is a company that will guarantee their product for ten years, you can be sure that it is a product that will deliver what it promises. The second best option in this category is the Napoleon AS200K Apollo 3-in-1 Smoker. Its three-in-one stacked design comes handy when you wish to convert this smoker into a grill, or a bigger/smaller smoker. The bar on the lid for meat hooks is also a unique feature, as well as the individual lid on each section for you to check on your food’s temperature. It is a bit cheaper than the Weber model and has great features and an efficient design so the Napoleon AS200K will definitely be a great acquisition for your house, as well. Now, given the chance that you are on a low budget and wish to acquire something for less than a hundred dollars, you can always opt for the Brinkmann 810-5301-6 Charcoal Grill and Smoker, always taking into account what has been reviewed before: it has several design flaws, and it might not be the best cooker, but it does make a great cold smoker. 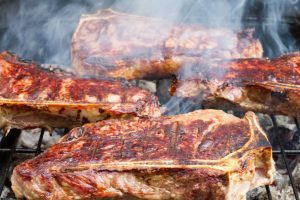 Remember that what you choose will highly depend on how much money you are willing to invest on a smoker and griller, for how many people you are planning to cook, and how you wish to use it in general. Consider the pros and cons of each model before you pick what works best for you, and once you have acquired the smoker you want, there is nothing else for us to say to you but wish you a happy cooking! I was wondering how the overall smoke flavor is when compared to stick burners or electric smokers?